Sisters with Stuff: $10 Toddler Swimsuits at Woot! 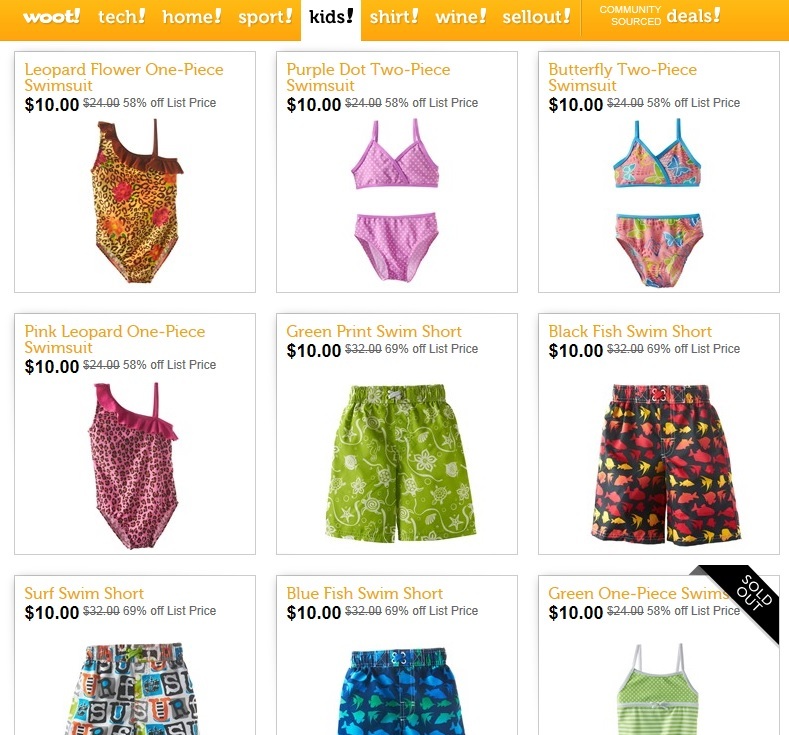 Check out these super cute Toddler Swimsuits at kids.woot . Shipping is $5 at Woot but you just pay it once and you can order as many items as you want all day until midnight. If you click on the banner below it will take you to kids.woot but you can look at everything else, they have 100's of items and only $5 to ship as many items as you want!